Minimalist design is almost certain to never go out of style. This is a trend that’s very popular in recent times as it’s capable of creating a warm and nuanced home without too much effort. 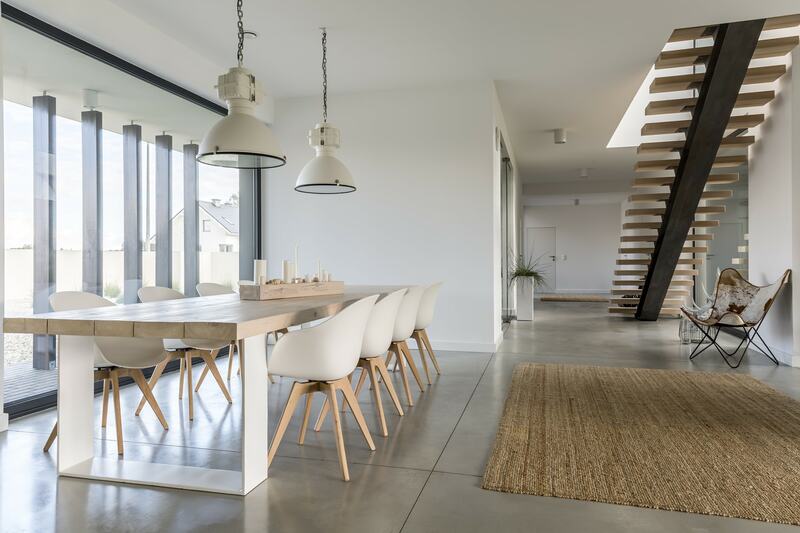 With a practical approach, getting a minimalist makeover for the design of your home can definitely pay off. While it may look tempting to copy the minimalistic trends you find in a magazine, learning how to decorate in this style is going to require more work than you’d expect. Simply making the room white and adding some sharp geometrics can’t be considered minimalism. To avoid creating a forced look, it’s important to take into account the essential principles of minimalist design. Mastering this look will give you the confidence to get creative and incorporate all kinds of ideas to obtain a truly unique look. 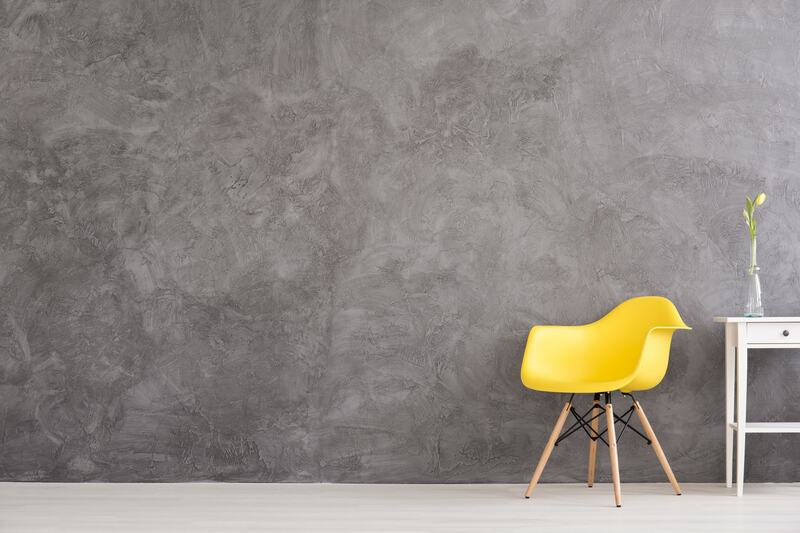 The first thing that you need to understand is what does the minimalist style mean? Similar to other interior design styles, minimalist home décor has its own mantra. This is a style that’s focused on simplicity above all else. The basic principles are to keep a spare look while ensuring things are placed there for a good reason. 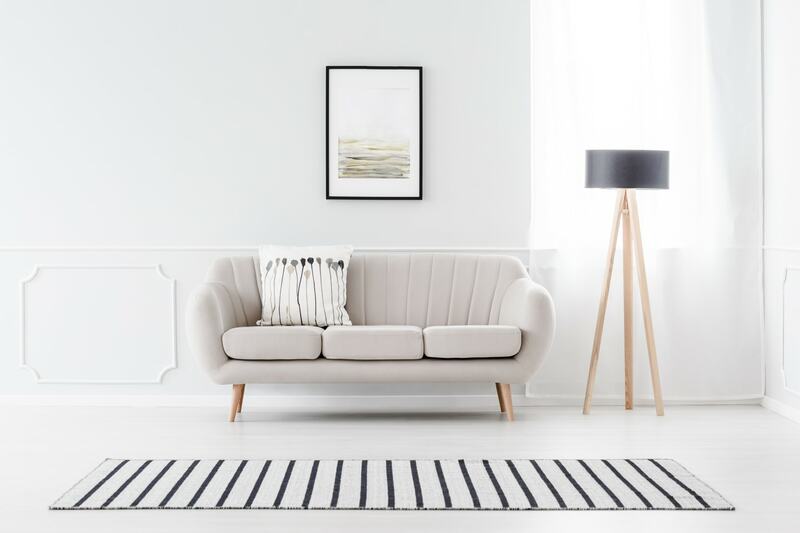 A minimalist home should be a comfortable space with clean and modern lines mixed with some richer elements and a very clearly defined color palette. To decorate in the minimalist style you should first understand the functionality of this style. The reason why minimalism gained a lot of fans is that of its forward-thinking design that stayed away from the usual fancy whims. 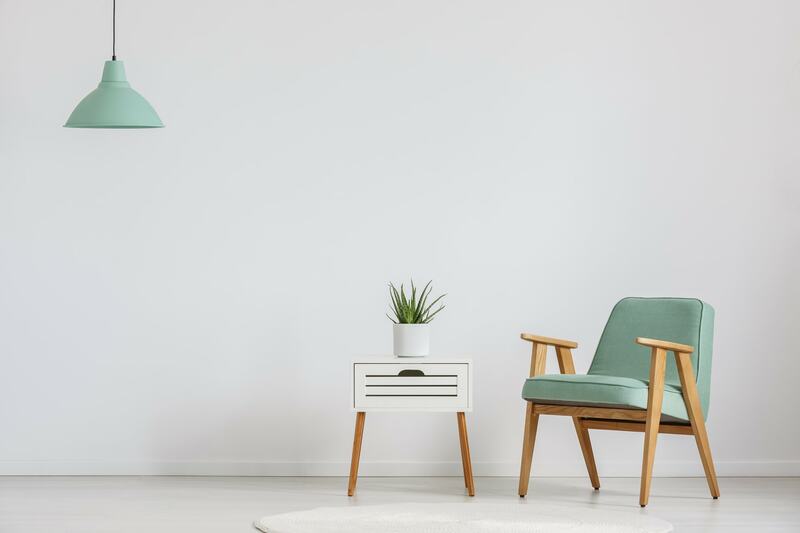 Minimalism designs a room to be as functional as possible and that means there are no things laying around without a purpose. According to this principle, even decorative pieces must have a practical role. And that’s exactly the case with minimalism. The color palette you use represents the foundation for your interior design décor. This is especially true when it comes to the minimalist style. As you’ve probably expected, this style should focus on mostly neutral shades to create the impression of exquisite tidiness. The color scheme needs to be as subdued as possible, but the simplified palette can also benefit from some contrasting blacks and greys. Any patterns or textures that you use will seem more vibrant when you have such an abundance of neutral colors. Another important aspect regarding the color scheme is to try to stick to very similar hues. Having a concise look creates a very pleasant visual effect. You can turn any room into a comforting oasis. If you’re feeling more adventurous, it’s good to know that you can still use primary colors such as yellow and blue, but don’t venture farther than their purest shades and rely on them only for subtle accenting a minimalist scheme. If your surroundings are full of random objects you need to remember the vital principle of the minimalist style – functionality. To be able to decorate using this style you should first take a closer look around your home and eliminate clutter. 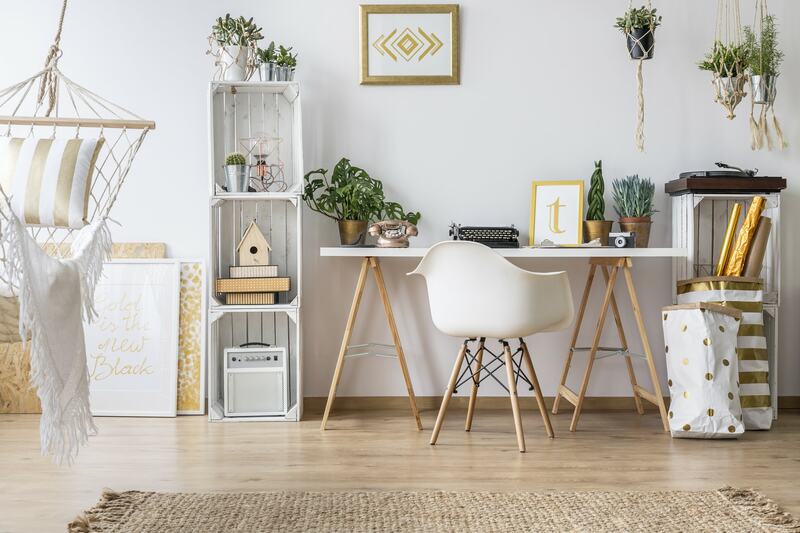 Lots of areas in the house tend to become magnets for clutter and this is something that you will have to resolve before starting your minimalist journey. It’s not as difficult as it appears. Removing clutter takes only a bit of time and effort to find the place of every object. Some items can be organized better or stored out of sight. It’s all about analyzing everything according to priority. 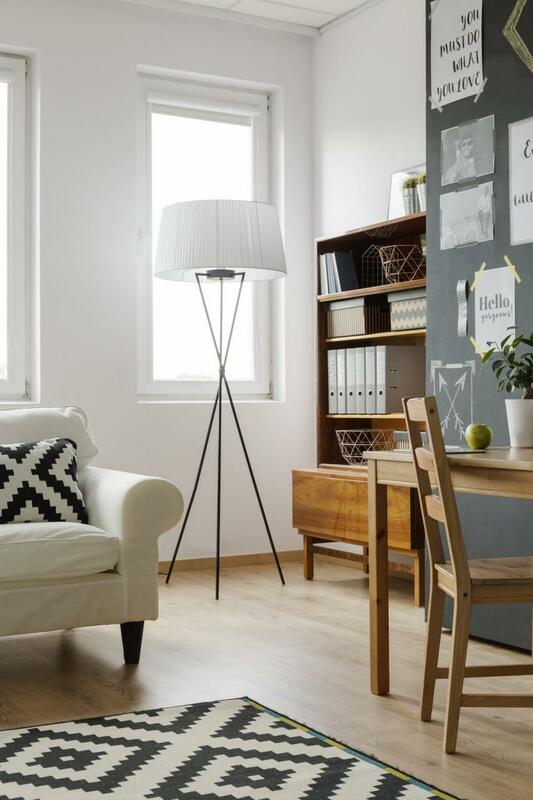 Embracing the minimalist style can become a good opportunity to make some lifestyle changes. The form is a central concept found in the minimalist interior design style. The shape of each piece you include in a room needs to smoothly contribute to the overall look you plan to create. Whether you use vertical and curved lines or incorporate some geometric shapes, the core idea is to make the form a foundation of your minimalist aesthetic. You don’t have to limit yourself to a particular set of forms, but you should strive to obtain a cohesive look in a minimized package. Another important detail which plays a role in obtaining a successful minimalist look is to maintain a harmonious flow. It’s very easy to accidentally create a minimalist look that uses too many wild shapes and forms straying into flamboyant and whimsical territories. To avoid this problem you should consider investing in furnishings that can be seamlessly integrated into the walls. This is good advice for designing a minimalist bathroom. Making the design flow nicely can be tricky to achieve. The secret lies in learning how to include more innovative touches without gathering too much attention to a specific piece. 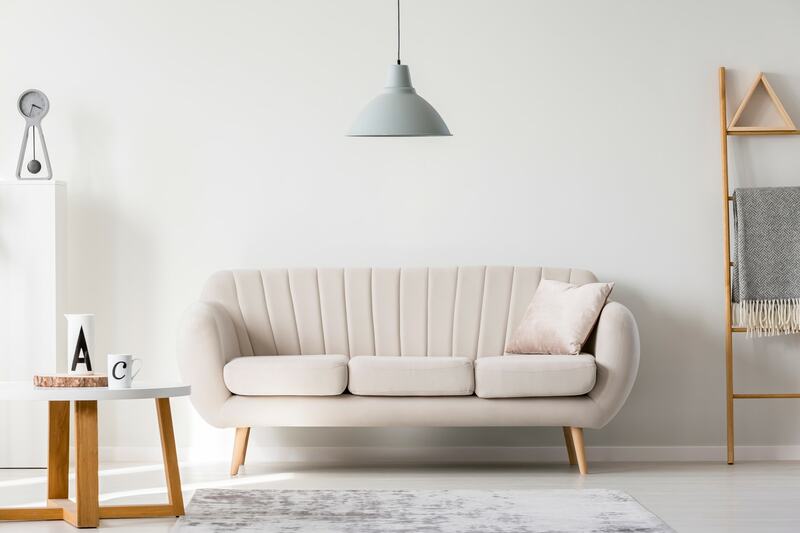 It’s critical for any minimalist to ensure that features of a room are balanced and there isn’t one that’s too eye-catching compared to the rest. While eliminating the simple clutter in your home is one important step, the next stage involves sorting through the furniture. Keep in mind that minimalism favors the quality-over-quantity philosophy. That means you should hold only to essential pieces such as those that can be used in multiple ways. Focus on high-quality construction and materials. The assortment of furnishings in a minimalist home should maintain a balanced living space. 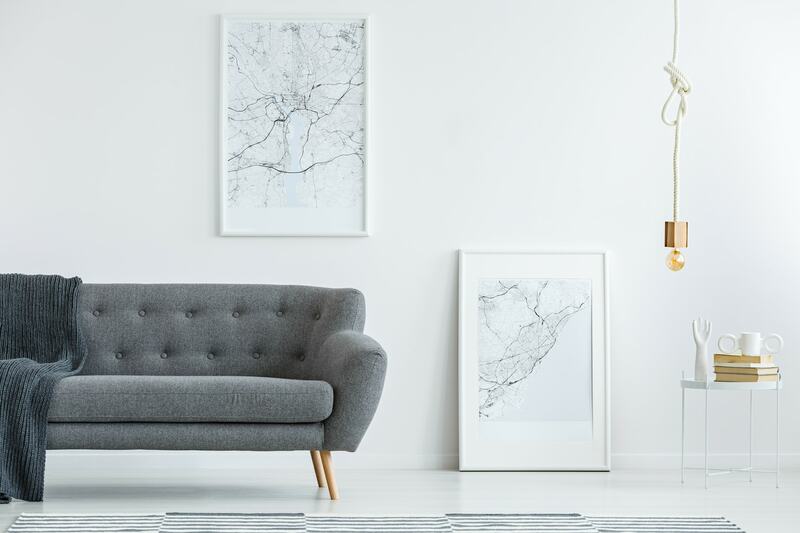 If you don’t have lots of high-quality furniture pieces, we recommend making some investments to ensure that you don’t attract negative attention to some existing low-grade furnishings. Even budget-conscious people can find some good models to choose from. For example, check out this functional coffee table which has a quality oak finish. Textiles and fabrics can have important roles in achieving a stylish minimalist home décor. Learning how to play with shades and tones is beneficial for adding some warmth and richness in an otherwise neutral and cold-feeling room. With the help of knitted throws and some beaded pillows, you can definitely make the room feel more lived-in. To get the best minimalistic effect, consider adding plenty of negative space into the mix as it boosts the airiness of the room. Try to use mostly complementary neutral color shades and focus on some unexpected elements such as furs, hides, and more interesting textures. Assuming your color scheme is consistent, you can easily integrate some prints and patterns to make things seem fuller of life. It’s tempting to fall into the trap of adding too many different textures, but it’s important to show some restraint and only use colors that blend well together. 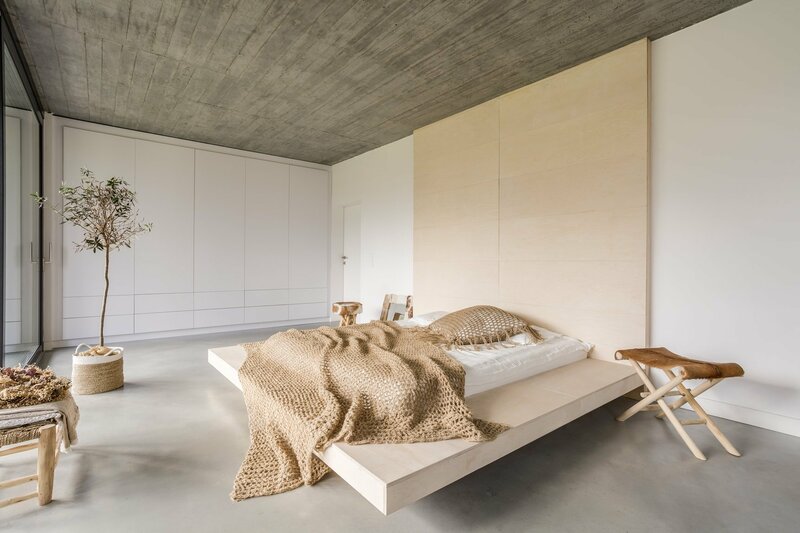 A great way to accentuate a minimalist home is to use some natural elements. This style can make great use of the calming aesthetic of plant life. A bit of greenery is welcomed for the tables or shelves whereas large floor plants can enhance the look of the furniture while freshening up the air. Accessories should try to make your home feel more personalized. Collectibles are great in that regard as they can be a solid match for the modern minimalist house. The pieces that you use as accents should contribute to the light and uncluttered vibe of this style. They should really accomplish their intended purpose and avoid sensory overstimulation. Consider swapping out accessories from time to time, maybe according to the changing of the seasons. A good example of an accessory arrangement in minimalist style would be the displaying of oversized vases that seem to act as artwork pieces. You can place them alone as if their role is to shine in the spotlight to be admired. When it comes to decorating the windows, you should consider integrating some long semi-sheer drapes to add a bit of sophistication. 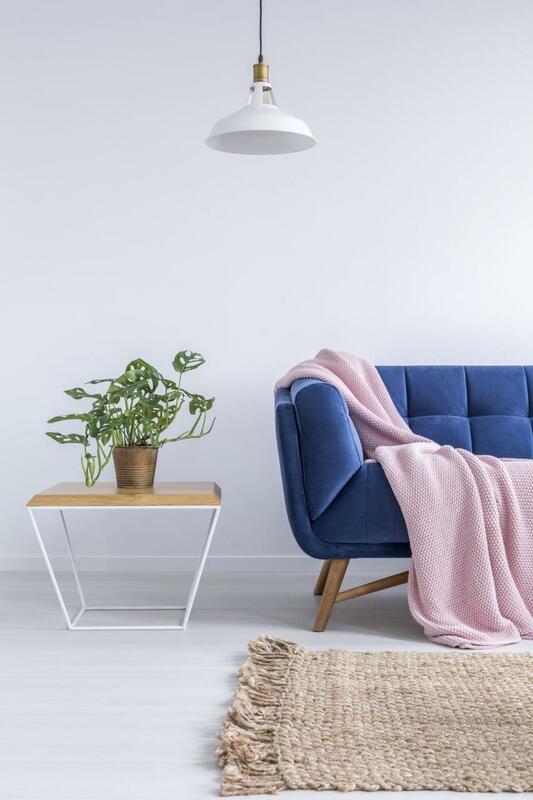 There’s no need to focus on patterns, just make sure the color matches the aesthetic of your minimalist room. Warmer tones are suitable to give off a welcoming feeling. Another option that works well for this style is to simply leave the windows unadorned if privacy is not an issue. In terms of flooring choices, some of the most fitting ones are concrete and wood. They should be incorporated in a minimalist home in such a way so as to avoid creating a feeling of coldness. Keep the floors polished and modern-looking with a central focus on the simple nature of the materials. To prevent the floor from looking too bland, consider adding a neutral rug which is sure to boost the warmth in the room. Favored by lots of minimalists, one winning combination is to mix a natural jute rug with a concrete floor. This works nicely for a modern kitchen where you can keep the cold vibe toned down and add some elegant lines that fit perfectly with the rest of the minimalist décor. We like this handwoven jute rug from Amazon. We’ve broken down some inspiring ideas into categories for each room in your home to make it easier to figure out how to decorate according to the room’s purpose. Embracing minimalist design can be done in different ways depending on the room you’re working with. The living room is your cozy area. This is the place where you should feel most comfortable as you will probably spend a lot of time on a daily basis. Transforming the living room in the minimalist style requires complete decluttering and plenty of soft textiles and interesting seating. The living room can exude a laid-back feeling, but you shouldn’t forget about adding some sophistication. To fit well into the minimalist aesthetic, we recommend going for a classic modern-looking sofa. The piece you choose needs to have a fairly neutral color and to offer a sense of high-quality texture. Here’s a solid sofa that delivers essential qualities for a minimalist home including an angular design. You can add some accents to the sofa to create a richer feeling in the room. Remember the part about the importance of comfort. To make the entire room cozier you can add a textured woven throw blanket on the sofa. Take a look at this inexpensive model on Amazon. Other elements that can be used to decorate the living room are lighting fixtures such as lamps or pendants. Try to avoid designs that make use of too many frills. Take advantage of the room’s openness and only include the essential decorative pieces. An accent chair would be a good choice or perhaps you could add a brilliant floor plant near the sofa. 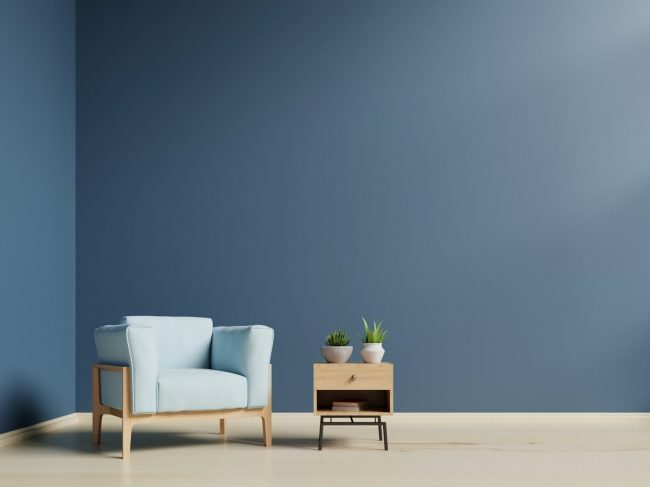 Some minimalist artworks can also find their ways into the living room, but keep in mind that leaving the walls blank isn’t a sin. The minimalist kitchen should be distinctively modern and will require some extra effort to create a stylish look compared to other rooms. One of the essential principles of minimalism is to not have items that attract too much attention, and that can go both ways. Having low-quality cabinetry and hardware will not look good regardless of how sparse you keep the rest of the kitchen’s décor. For this reason, we recommend saving some more money and investing in high-quality elements to build a minimalist-styled structure that you can work with. From this point, you can start integrating more decorative items or some extra touches for bringing in some much-needed warmth to a simple room. Airiness matters when it comes to a minimalist home, and that’s especially true for the kitchen. One of the best ways to maintain a bright look is to focus on a black and white palette. Certain colorful accents can help, but try to avoid prints and patterns that don’t add anything in this kind of functional room. It also goes without saying, but you need to put some extra effort into keeping clutter away from view. Investing in some ingenious storage solutions could be a good idea in that regard. The dining room is the place where you simply wish to enjoy a peaceful meal and have a laid-back meeting with guests. A good dose of minimalism is important for the dining room if you wish to give it a fresh look where it’s a pleasure to dine. 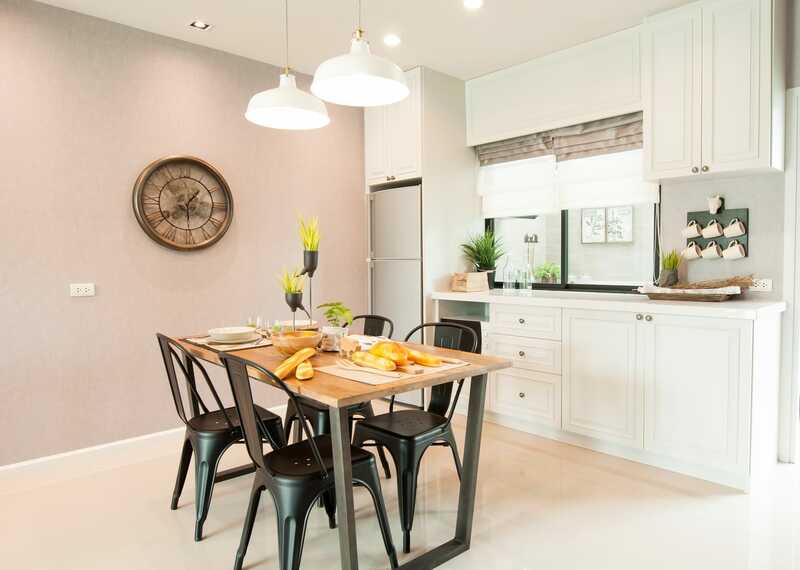 Going the natural route would be preferable here so that’s why we recommend a simple and stylish dining set built using natural wood. This Mid-Century dining table from Amazon seems an ideal match for the minimalist aesthetic. Pair it with a modern-style set of white chairs such as this one. For a bit of contrast, you can add a dark rug and some simple complementary décor pieces such as artworks on the wall. Try to limit the amount of furniture in the dining room to ensure the area remains spacious with generous openness. Perhaps a single buffet or cabinet should suffice. The finishing touch can be obtained through lighting. Try a simple matte black pendant light. Another advantage to having more simplistic furnishings in the dining room is that you can easily switch out decorations and try experimenting to maintain a fresh look. 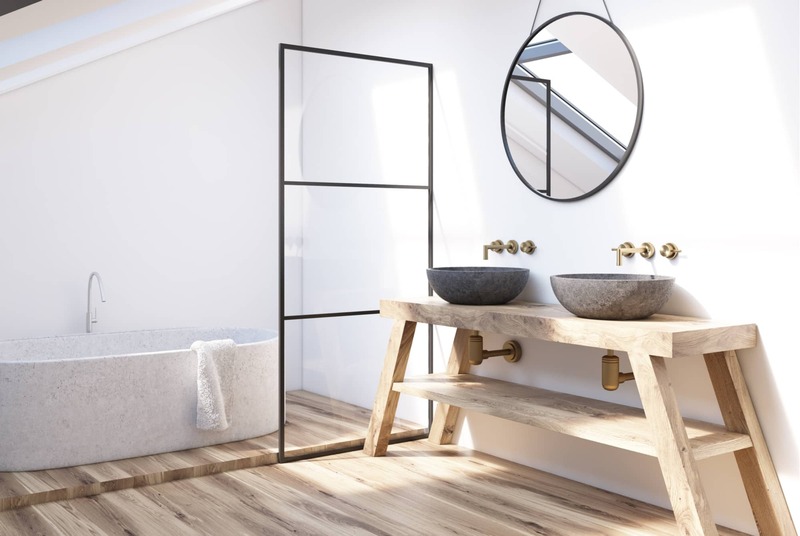 The bathroom is a high traffic area so you need to consider some smart storage solutions to prevent clutter from ruining your minimalist aesthetic. Similar to other rooms, you should try to keep the color scheme limited to just a few neutral shades. The cohesive look can take advantage of some charming accessories. Make use of contrasting pieces with streamlined lines and focus on natural wood if you wish to add an organic flavor to the modern design. Keep decorations sparse and surfaces as clean as you can to exude an aura of coolness and relaxation. Remember the functional aspect of the bathroom. The bedroom can be easily modified to match the minimalist design style. You need to make sure that you add elements that aren’t complicated. Think of a simple platform bed with storage and some elegant lighting. The ideal atmosphere you should create in the bedroom is one of relaxation. To make the design contribute to a positive mood, consider sticking to clean lines and symmetry. As the bedroom is a more personal spot, you shouldn’t be too strict with your design approach. You can make it feel a little unexpected by adding a few shots of expressive color here and there. 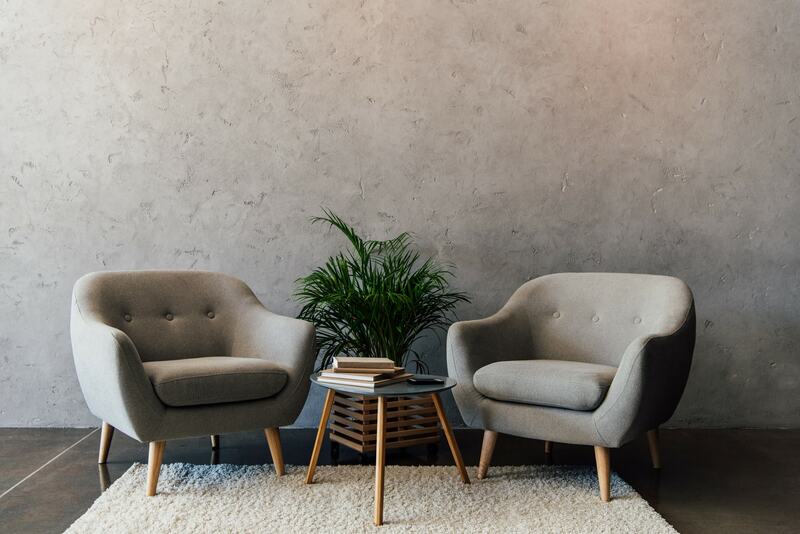 As long as you keep the overall look sleek and without any ornate details, you will be able to create a clean and relaxed environment that still has a personalized touch. This wraps it up with our advice on how to create the minimalist feel in your home. 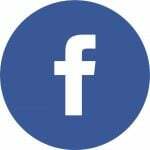 We hope you enjoyed our article and please don’t forget to share our article with your friends and family. We put a lot of effort and love into bringing our articles to our readers, so that would really help us. 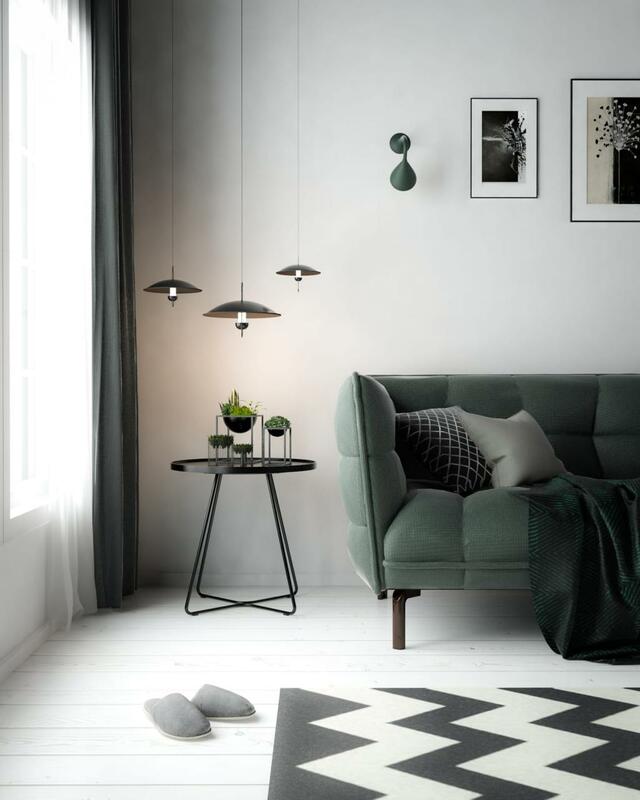 Also if you are a fan of minimalism, you will surely be a fan of the danish hygge decor concept and the industrial decor style.